You are a cad, Sir! 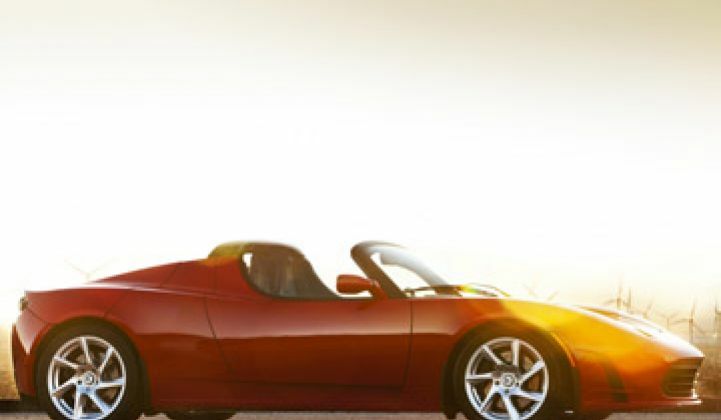 Two years ago, Jeremy Clarkson, the host of the British TV show Top Gear, filmed a now famous episode with the Tesla Roadster. He found quite a number of flaws. Two Roadsters suffered breakdowns. "In the real world, it doesn’t seem to work," Clarkson said. Now a court may determine whether it was a fair review. Tesla Motors sued Top Gear for libel and malicious falsehood over the 2008 episode. Tesla reiterated its complaints with the episode, claiming that Clarkson and the show wrongly and inaccurately portrayed the car's performance, the report included inaccuracies about the specifications, etc., but the company also noted that the script, including the line above, was written before the cars were tested. Did Clarkson say the Roadster didn't seem to work before driving it? If he in fact did, it will be a big issue. To top it off, the suit -- if it doesn't settle -- could feature testimonies from both Tesla CEO Elon Musk and Clarkson. Talk about a clash of egos. This could be the best libel suit in Britain since Oscar Wilde and the Marquis of Queensberry went at it. The company has also said it has repeatedly asked the BBC to correct the errors. Tesla waited until now to file the suit because, back in 2008, it says it was still a startup. It also didn't anticipate how widespread the episode would become. Top Gear has 350 million viewers and consumers often refer to the episode, Tesla alleged. "The programme's lies are repeatedly and consistently re-broadcast to hundreds of millions of viewers on BBC channels and web sites, on other TV channels via syndication; the show is available on the Internet, and is for sale on DVD around the world," the company stated. We tested the Roadster. We loved it. Then again, my car is an eleven-year-old Honda Accord with Diet Coke bottles strewn all over the floor. A reasonably clean Acura would seem like a dream. In any event, here's our review video again.